How Using Twitter Can Help College Students… No, Really! It has happened to us all: we are meant to be working or studying or even sleeping, but instead we are surfing Twitter to find out what strangers think of the latest Lady Gaga album. Procrastination is a regular part of being human, and the Internet has provided an endless stream of distraction. Which is one of the main reasons we love it so much, whether we admit it or not. For those who are currently strolling the halls of learning, deadlines are everything. Term papers, essays, dissertations, projects and exams…these are all time sensitive, and the average student can’t afford to get side tracked too often. There is only so much last minute work that can be crammed into a weekend, after all. But it might surprise you to know that Twitter is not a complete time sucker. The average college student can find several uses and tools that will make tweeting time more productive. Industry Networking – When you chose your major you made a decision on a general direction your working life would take. While there are entry level jobs to get you going in that career, there are additional ways that you can start building yourself up for future success. Networking with people already in the industry, learning about internships in companies and establishing connections early on will help you later. Project Collaboration – It isn’t always easy to keep in contact with work groups, and inevitably there will be one person less dedicated than the rest. Others might just have difficulty with scheduling work time that works for everyone. Collaborating becomes easier when you use Twitter, as you can share information and communicate more quickly, and people are more likely sometimes to respond to a tweet than a text. Teacher Communication – There are some professors that are impossible to get in contact with directly outside of class or office hours. But more and more, teachers are setting up Twitter accounts to allow their students access at a moment’s notice. This is perfect for those who have a question or problem, which could ultimately effect their grade. Tracking data – Planning a purchase or going on a trip and, like most of us students, lack money? Try Twitter tracking capabilities. Just search for something like [New York Tourist Pass] and feed it through Twitter search feeds. 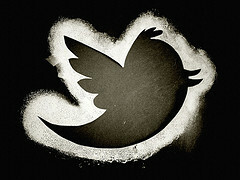 Here’s a great post on searching Twitter, creating an RSS feed for your search and track the newly posted results. Get Updated – If you want to find regular news and trend updates in your educational field, or on a specific topic, you can do it by searching hashtags. They are updated practically by the second, and you can gather daily changes in any news stream. If you are still not convinced, you can get further help using some of the many tools that have been created to further improve the Twitter experience. Each one is fully adaptable to your individual needs, and can make moving through and operating the social networking site that much simpler. TweetScan – Finding content on Twitter isn’t always something you have time for. In that case, you can set up keywords and hashtags to be monitored and then emailed to you in regular updates. It is a much faster way to keep up on trends within specific subjects, or just get a path to follow as you go. TweetDeck – This is a complete management application that takes all of your updates, information and content searches and puts it in one place. There is are several versions that can be downloaded for your browser, iPhone, Android or Desktop. SocialOomph – Once called TweetLater, this is a scheduling app that lets you set up a series of tweets that will be released at your set times and dates. It is nice and specific, and easy to use. Use Twitter For Good, Not Evil! See? It is perfectly acceptable to use Twitter as a college student. You can actually help further your studies and communicate with professors, all while you use it to stalk that person in your afternoon Post-Modern English Literature class that you wish you had the courage to ask out. All you need is to split your time wisely.